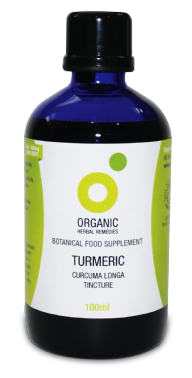 High quality Curcuma longa root tincture. Soil Association GB organic certification 05. This item is in stock and ready for dispatch. 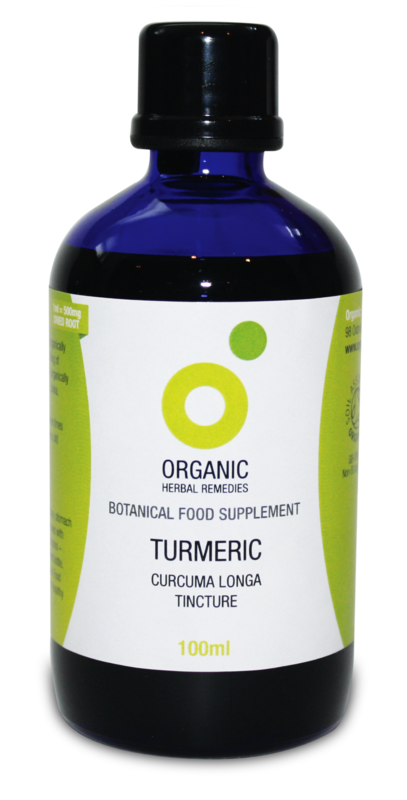 Our product contains only the finest quality organically produced tincture of turmeric root with naturally high concentrations of curcumin. DIRECTIONS: As a food supplement take 3ml three times a day. Please note turmeric is fat soluble. When taking turmeric supplements you should take them during or immediately after a meal or with organic fish oil or other organic oils. Black pepper in your diet also helps turmeric absorbtion. Tincture manufactured and bottled in the UK to GMP approved standards. Herb from India or Sri Lanka. This tincture is an extract using 45% v/v organically produced pure grain alcohol.